The world's largest search engine has been seeing a consistent year on year increase in people searching online via their mobile phones. We are almost at the tipping point where the volume of mobile searches will consistently beat searches on computers or laptops. To help mobile users find what they are looking for on the web, Google will give a very large ranking boost to "mobile-friendly" websites on Tuesday 21st April 2015. This blog post was initially released prior to the "Mobilegeddon" update on 21st April 2015. It has been confirmed that Google have rolled out the update and will soon crank up the intensity, resulting in much larger changes. If you have been affected, now is the time to act to make those amends to your site before you lose more search visibility. Are Google hurting small businesses with this update? There are many concerns that this upcoming update (unofficially dubbed "Mobilegeddon"), will severly harm small businesses and is only another way that Google helps larger businesses (Amazon, eBay, etc...) maintain their heavy web presence. Google is only the top search engine because they are continously updating their search algorithms (the way they determine where a website should appear for a particular search query) to ensure they return the most useful and relevant results to the user's enquiry. Without relevant results, the search giant will lose users to alternative search engines and along with this, their advertising revenue. It is therefore in their best interest to continue developing these complex algorithms to maintain their market position. If a well established brand's website is more relevant to the user's search intent, then it makes sense for Google to return those results before a small business' website. The internet is designed as a platform for disruption and there is no better time to disrupt the market leaders in your industry than when Google performs a large algorithm update. There is a very high chance that your competitors may not be aware of this update and this could push you much higher than them in mobile searches. This update is set to be the largest and most influential algorithm update in the last 5 years! 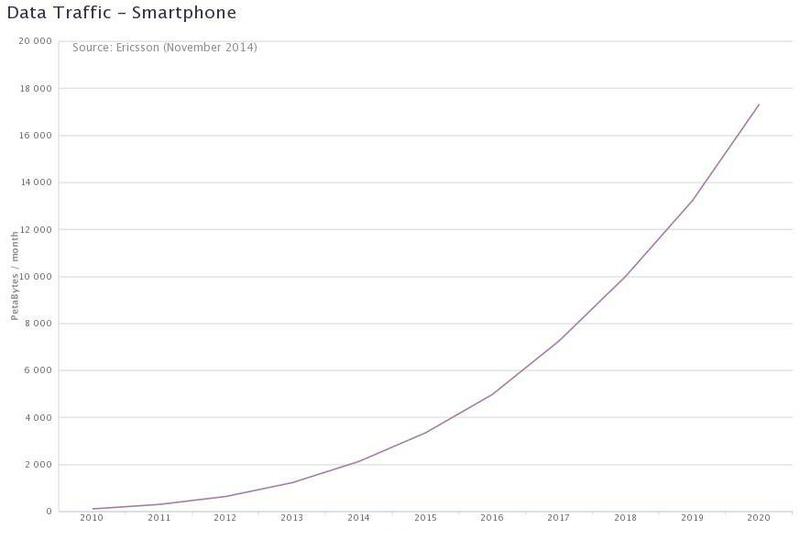 Between 2010 and 2014, Worldwide mobile traffic had increased by 2,085% and is set to increase a further 716% by 2020. How can I prepare for Mobilegeddon? 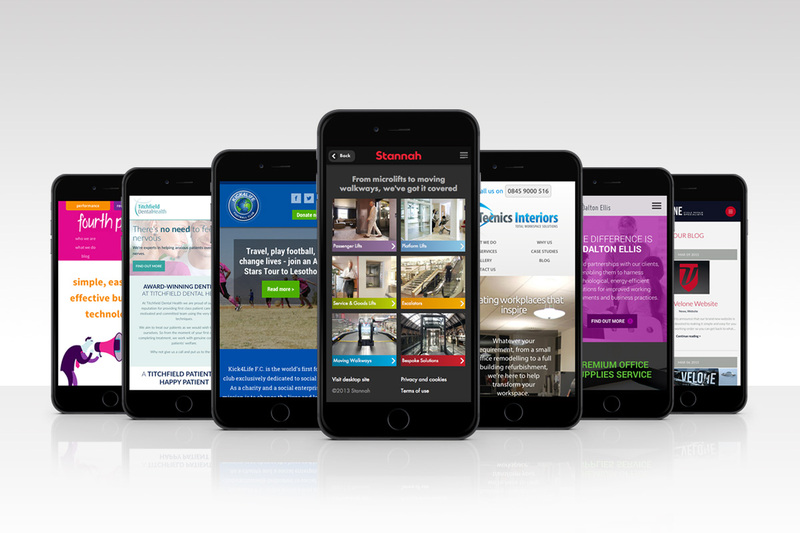 It is important to remember that mobile searches are consistently increasing. They overtook desktop search volumes for the first time around Christmas 2013, since then there have been multiple instances in 2014 where mobile searches outweight desktop searches. This trend is expected to continue through 2015 and onwards as currently close to half of all user's time online is spent on mobile devices, with 18-34 year olds considering their mobile to be the first (and most important screen). By following the steps below you can help prepare yourself for the upcoming update and any future updates that Google may be planning. Google have provided a very useful tool to help show how the search engine believes your website will appear on mobiles. By entering your website in this tool, you can see the areas that need work and if you have the technical know-how you can fix these problems yourself. If your website is built on a popular CMS, you can find a walkthrough provided by Google on the right hand side. This isn't the optimal way of fixing your site and can cause additional problems so just double check with your web developer before going ahead with these. You must make sure you check all of your most popular landing pages as this tool only checks one page at a time. 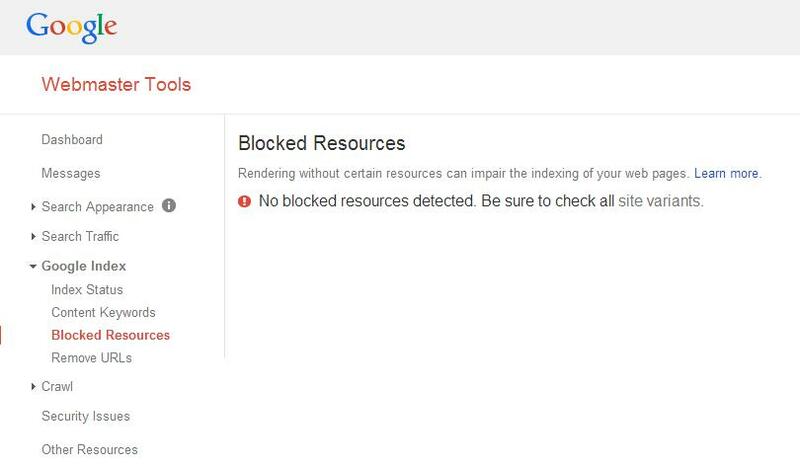 You can find more out about robots exclusion directives on Google's support pages. Your web developer should also be able to help if you say that you would like to allow Google access to your system resources through robots.txt. If you are using a CDN (content delivery network), then these files may be automatically blocked so you need to change your CDN settings. After you believe you have fixed the problem, you need to wait for Google's bot to crawl your site and pick up on the changes you have made. There is usually no definitive answer on how long this takes as it all depends on how often your website is updated, the size of the site and many other factors. To help speed things up, you can tell Google to crawl your site almost immediately. This isn't recommended as a regular practice, but will dramatically help if you've made large changes, such as making your site mobile friendly or recently allowed access to previously blocked resources. Change "Desktop" to "Mobile: Smartphone"
If the Status says "Partial", click on it to see a snapshot of how Google saw your page. 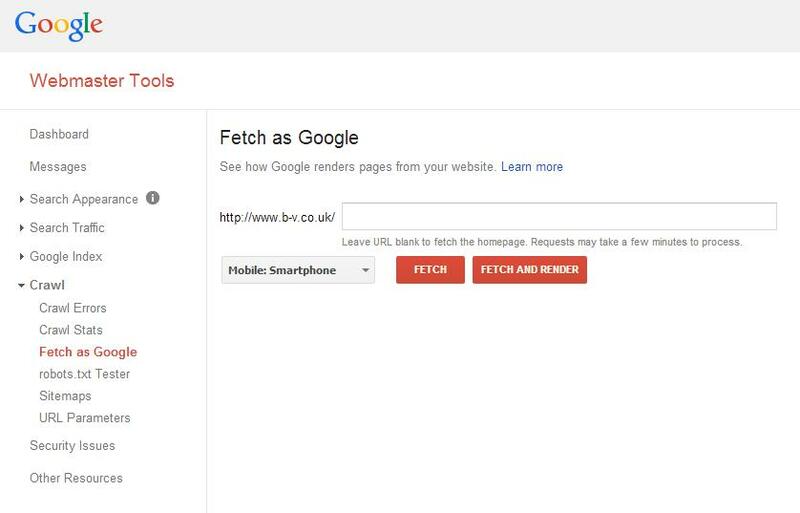 If you see any blocked resources underneath the snapshot, refer to bullet #2 and then "Fetch and Render" again. If it says "Complete" then push "Submit to Index"
Highlight "This URL and it's direct links" and submit. This can still take up to a week to be reflected in Google results, but it is a lot faster than waiting for Google to pick your changes up organically. I hope your website survives Mobilegeddon and you are prepared to respond swiftly to any of Google's future algorithm updates! If you have completed the above three steps and your website has still seen a fall in traffic recently, get in touch and we can help point you in the right direction. With over 200 different factors to take into consideration, SEO can be very daunting. Make sure you are not taking out-dated advice and always contact a local SEO specialist if you are not sure of the best way forward.